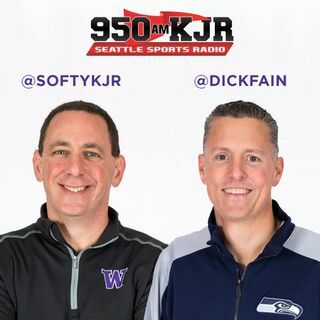 We've got the Washington vs. Colorado game on 950 KJR with P. J. Carlesimo on the call. He joins us to talk about the game, with analysis of both teams, and who would the Dawgs rather face tomorrow if they win. On Fun with Audio, another Mike Francesa clip, Eric Weddle makes some interesting comments about the Hawks, Jon Gruden doesn't want to hear about Amari Cooper, and we check in with West Virginia's Rough N' Rowdy. It's almost game time. We get some final thoughts ... Maggiori informazioni from Donald Watts as we do before every Husky game.